I recently got my lawnmower repaired. The machine is twenty five years old and originally belonged to my father who always enjoyed getting out of the house to cut the grass. He was a gardener who loved the activity of gardening rather than being someone into the garden itself, an outdoor activity with a bit of purpose. Planting a row of spuds, cutting a hedge, watering the tomatoes or cutting the grass was his way to enjoy a bit of outdoor recreation. His lawnmower is certainly looking its age but was built to last and every time it gets a service I am told the deck and machine are still in excellent condition so it keeps motoring on. This time I was a bit tardy in getting it serviced, leaving it for three years. The cord snapped when I attempted to start it a few weeks back and I was left wondering whether its time was up. I brought it to the local lawnmower repair centre and was told as well as a cord, new blades were needed, but again, still, it’s in good condition. 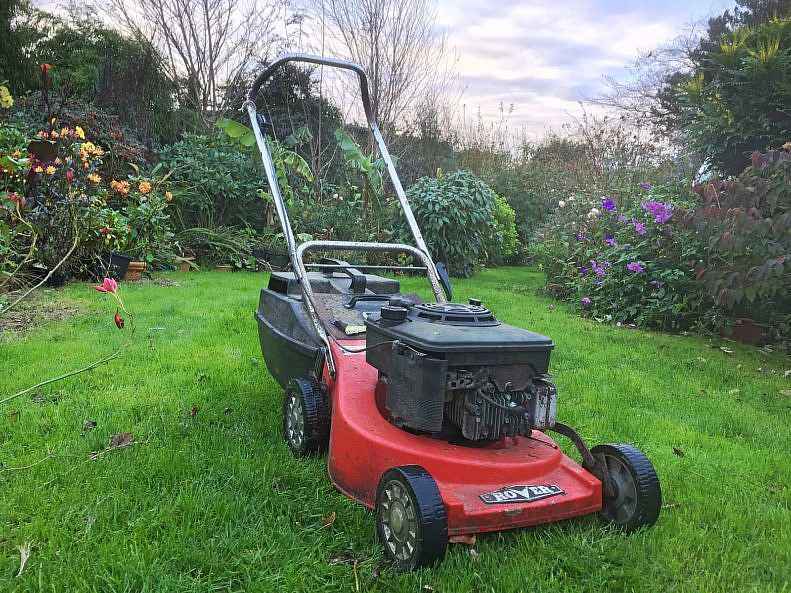 A full service, new blades and a new pull cord, all for less than a quarter of the price of a new mower, and its working just as good as ever. It’s a good quality piece of machinery and I hope to get many more years of service from it. The bonus is it reminds me of my father every time I take it out of the shed to cut the grass.